7th Rangers: North Korea: Plans to strike Guam , put on hold. North Korean Dictator Kim Chen Un has said he is postponing the planned missile strike near Guam, but warned he would shoot if there were still "reckless actions" from the United States. 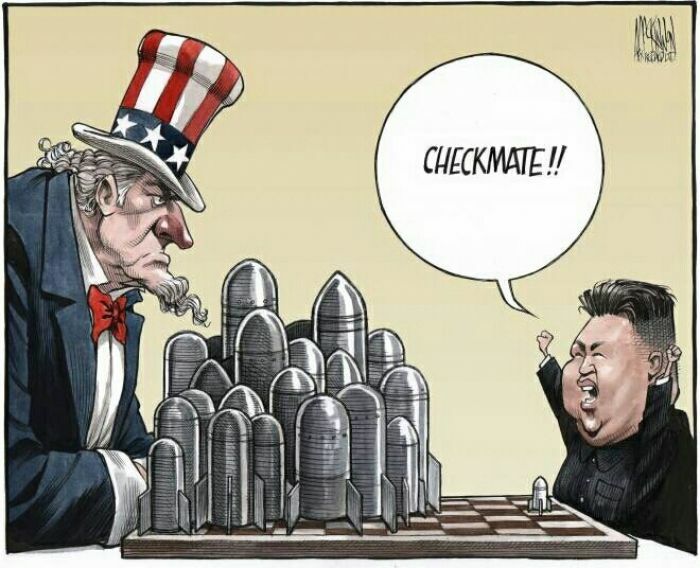 In otherwords, he’s blinked first in the very high level stakes game of Chess he is playing with the US. Isn’t it always the same when a bully tries it on with somebody who won’t be intimidated.